Westside Dermatology Clinic, PA (Katy) - Book Appointment Online! Welcome to our practice. 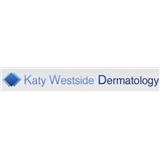 Westside Dermatology Clinic has been serving the Katy and West Houston area for 33 years. We specialize in the diagnosis and treatment of disorders of the skin, hair, and nails. Our practice sees patients of all ages, ranging from children and adolescents, to adults and the elderly. Our dermatologists combine their vast experience with the most advanced medical knowledge in solving our patients’ dermatological problems. Our patients are always treated in a professional, friendly manner and our staff will be delighted to take care of your specific needs. We have a Spanish speaking nurse to assist our doctors. My first visit so waiting to see if diagnosis is correct. But can say the office staff was pleasant and the doctor was knowledgeable and courteous. The experience made me feel comfortable. Super doctor! Very kind and he didn't rush us out. He is very knowledgeable!